Greetings to each of you. Our plenary Assembly is approaching fast, and several preparations are on the way. Our Southeast Asia sub region has still an important task: Organizing a sub regional meeting dealing with the Assembly’s theme: “Word of God – Source of Reconciliation, Justice and Peace” from Southeast Asian perspective. Since the Episcopal Commission for the Biblical Apostolate (ECBA) of the Philippines has already planned such a meeting on the same theme, we thought it would be more practical if we joined them. Moreover, ECBA is a full CBF-SEA member.So herewith I invite you to attend this 5th CBF-SEA Workshop, and for the Philippines the 17th National Biblical Workshop, from 11 to 17 February 2008.Venue: Chali Beach Resort – Cagayan De Oro City – Philippines. Attached you find the 3rd draft of the ECBA program (please click this: cbf-sea-workshop-07-program.doc) plus two additional days for us, CBF-SEA members. All the other details about our special program, travel, etc will follow. Since we have to make reservations, let me know the soonest as you can whether you are going to participate, and I sincerely hope you will, This is very urgent. I am looking forward to your response. Thank you very much indeed, and God bless us. Follow our website https://cbfsea.wordpress.com for the updates. I wish I were writing under different circumstances. I would like to inform you that my wife Leslie Cruz was part of the casualties in the Glorietta 2 Mall blast in Makati City, Philippines. She was supposed to have a minor out patient surgery at Makati Medical Center at 2:30pm. I had taken a leave from work to accompany her there. We dropped off our daughter, Amber, at my parents place in QC to baby-sit at around 10am. We then proceeded to Makati and was there at 12:30pm. Since she had been fasting in preparation for her procedure, she wanted to move around and listen to some music while I grabbed a bite to eat. We parked at the basement of Park Square 2, and headed for the Glorietta 2 entrance. We parted at the top of the escalator, she turned right towards Filbar’s while I went left towards the restaurants. That was the last time I would see her. Around 120pm, she had called me so that we can meet at the Glorietta 2 exit just in time to make her appointment. As I made my way there from Glorietta 1 through the connecting hallways, and was about to turn the corner, I heard 2 deep thumps and the shock-wave from the blast hit me. At that moment my heart dropped as I knew that the origin of the blast came from the same place where we were supposed to meet. I tried getting to where my wife was, but the dust was too much and it was as if I was staring at a white wall. I still tried to convince myself that she was able to make it out, and that after ringing her mobile without a response only meant that she dropped it in the confusion. After 6 hours of searching from Makati Medical to Ospital ng Makati , the blast site, and back again to MMC – with the help of all the people I could get hold of, that I was able to get confirmation in what the state of my wife was. My Dad and Uncle signalled me in from the ER of MMC. My Uncle (who’s a doctor) asked me to describe Leslie’s appearance to another group of doctors. I saw in the eyes of one that the description made sense. Instead of confirming it to me, they huddled together, then brought me to a small examination room. It was only through a digital camera that I was able to confirm (and deny) that she was indeed gone. Today’s the 4th day. It is still terribly difficult to breathe, let alone wake up realizing that your source of strength, your best friend doesn’t lie beside you on your bed. And that my deepest worry is when Amber starts asking for her Mama. I am glad that Amber’s too young to understand the loss and pain. In time I would like to tell her the details of how her mother died, but more importantly I would like to raise her as how her mother lived – a loving person, strong willed, decisive, caring, and nurturing. She has always cared for her family and friends, and sacrificed her career for being a full time mom and home maker. As with all couples we had our ups and downs – none of which I regret not going through. The sweet is never as sweet without the sour. For almost 4 years of marriage, we’ve finally hit our balance in life only to be taken away in an instant. I have no regrets about our marriage. She has loved me and Amber beyond her capacity. I will always love her. It is my first time to write to e-group as I’ve lurked and watched emails being sent to and fro. All I want now is that for each of the couples here is to cherish each moment that we spend with our loved ones. It’s very pretty simple to say, very easy to take for granted. Thank you all for the prayers. I would still like to ask you to please include Leslie in your prayers until her 40th day so that the path to God’s kingdom is well lit and she is no longer in the dark. A few hours ago Fr. Ayoub Chahwan called me telling the good news of the release of Fr. Pios Affas and Fr. Mazen Ishoa who had been kidnapped on Saturday, 13 October in Iraq. Fr. Pios and his confrere were released on Sunday morning despite the fact that contacts with the kidnappers had been interrupted during the last days and they are safe and sound! Our untiring intercessions may hence lead to prayers of thanksgiving and praise! Please share this with our friends in the SEA subregion. Kidnappers Set Deadline for $1 Million Ransom. The Syro-Catholic Archbishop of Mosul has slammed Iraqi authorities for not having helped to release the two priests recently kidnapped in the country. Father Mazen Ishoa, 35, and Father Pius Afas, 60, were kidnapped on their way to celebrate Mass on Saturday at Our Lady of Fatima Parish Church in the al-Faisaliya neighborhood. In addressing the Christian community, Archbishop Casmoussa called on its members “to continue praying, because we need peace. Iraqi Christians are loyal to their country and respectful of every group”. Against the horrifying pictures given by the mass media, we hear the hopeful and joyful and grateful voice of our dear Tammy. Let us continue praying for Myanmar. I know it is painful to think how things are going… and our friends in Iraq, I hope they will be released soon. Yes, I read it yesterday… touched by people’s concern throughout the world. Bsp. Sotero is improving day by day. I told him the card came from Alexander, you and me and he took it immediately from me and tried to read it. I read it for him and asked him to repeat the words. He was very happy. His secretary has not opened his email yet. He can now manage to close and open his hand and lift it up to some degree as well as his feet. With the Physiotherapist’s help, he can lift up his hips from the bed for some exercise. I will go tomorrow to give him speech therapy. They want me to do it daily but my work in the office hinder me from doing it. Thanks once again for your concern and prayers. I felt the closeness we have due to this fast communication. Now the internet is back for the whole day. This is one good news! and accepting our vulnerability – God is the only strength we can rely on. A million thanks to you all. Tammy. 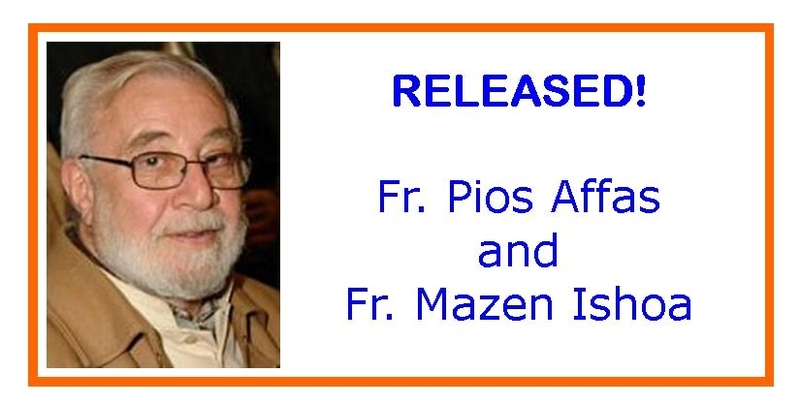 Last Saturday two syro-catholic priests have been kidnapped in Iraq , one of them being our friend and colleague Fr. Pios Affas, director of the Bible Centre in Mossul , Iraq . This dramatic event shows us once again the sufferance of the Iraqi people and the disconsolate situation of the Christians in Mesopotamia . Let us all pray for the two victims that they may receive the strength and faith they need in this difficult moment and that they may return safe and sound. In the name of our Federation I have assured our friends in Iraq and in the Middle East region of our sympathy and solidarity. 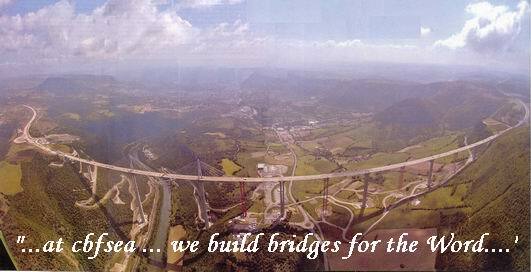 We have put the announcement also on the CBF Website (www.c-b-f.org). And if you would like to add your own address of solidarity you might send it to Fr. Ayoub Chahwan (olmpac@hotmail.com), our Middle East coordinator. I thank you for sending us this e-mail; that gives us an idea about what our brothers and sisters are going thru all over the world. We also have bad news in our area and are very concerned and worried for the fate of Fr. Pios Afas, Animator of the CBF in Iraq , and the young priest Fr. Mazen, both kidnapped on Saturday, October 13, in Iraq . I invite you to pray for our wounded Church in Iraq due to all the persecutions against it. 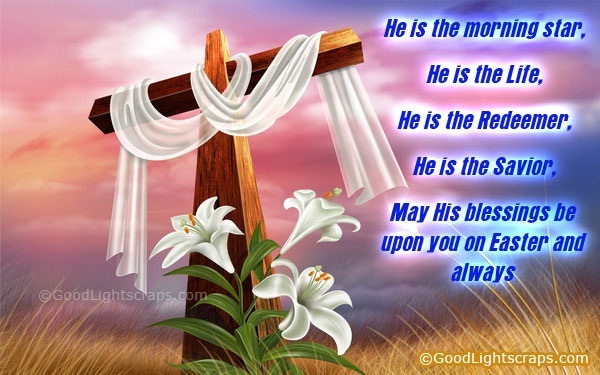 Let’s raise our prayers and ask the Lord Jesus to give Fr. Pios and Fr. Mazen strength to hold on to their faith and entrust their lives into his hands. God be with you and with all our brothers and sisters of this lovely family that is the CBF. Hope we will meet in Tanzania . I visited Bishop Sotero yesterday without the Get Well Card but I will visit him again this afternoon with the Card. Bishop is a very good patient and cooperates well with his physiotherapist. He can now move his fingers and toes. There has been much improvement since I last saw him a week ago. His speech is coming back slowly. I gave him a speech therapy from A-Z and he managed it and laughs at intervals. He is in good spirit so he can really get well soon. So, let’s continue our prayers for him. I told his secretary to check his email, print them and read them to him. This afternoon I will know if she did open the email. From our website https://cbfsea.wordpress.com you can get access to the websites of our friends in SEA. We are sharing to you the double big event to be hosed by the JPIBC and ICST for this coming week. Please click: http://jp1bc.wordpress.com for details. Kindly whisper a prayer for the success of these activities for the glory of the Word…. Five years have passed but the noble figure of this faithful servant of the Lord lives on in the minds and hearts of all who knew him. I too cherish many personal memories of the meetings I had with him during the years of his service here in the Roman Curia…..
My venerable Predecessor John Paul II had appointed him Vice-President of the Pontifical Council for Justice and Peace, of which he later became President, and he set about publishing the Compendium of the Social Doctrine of the Church. How can we forget the outstanding features of his simple, ready cordiality? How can we not shine light on his conversational skill and his ability to make himself close to everyone? We recall him with deep admiration while we remember the great visions full of hope that inspired him and that he was able to present easily and engagingly: his fervent dedication to disseminating the social doctrine of the Church among the world’s poor; his longing for evangelization in Asia, his Continent; his ability to coordinate activities of charity and human promotion which he encouraged and supported in the most remote places of the earth……..
Cardinal Van Thuân was a man of hope. He lived on hope and spread it among those he met. It was thanks to this spiritual energy that he was able to withstand all the physical and moral difficulties. Hope sustained him as a Bishop who for 13 years was cut off from his diocesan community; hope helped him to see in the absurdity of the events that had happened to him — he was never tried throughout his lengthy detention — a providential plan of God. He received the news of the disease, the tumour that was later to lead to his death, at the same time that he learned of his appointment as Cardinal by Pope John Paul II, who held him in high esteem and was very fond of him. Cardinal Van Thuân liked to repeat that the Christian is the man of the moment, of the now, of the present time that must be welcomed and experienced with Christ’s love. In this ability to live in the present shines forth Cardinal Van Thuân’s intimate abandonment in God’s hands and the Gospel simplicity that we all admired in him. And could it be possible, he used to wonder, that those who trust in the Heavenly Father then refuse to allow themselves to be embraced by him? At last we got news from Sr. Tammy! The situation in Myanmar is still very bad. Let us not cease to pray for this poor country. I hasten to pass on her letter to you. Thank you very much for your prayerful support during the last weeks. This is my first time to check my emails since Sept. 19. I have over 20 email messages to read and respond. Again, I repeat, thanks a million for your concern for us here. Thank you also for your Birthday greetings for me. I turned 61 on October 2. I could have celebrated my birthday with the participants of BFS and CTFW (Core Team formation workshop which was scheduled on Oct. 1-13 but I was advised to cancel it because of the situation here. I was in Mandalay when the worsening situation happened here. I organized the Bible Translation Awareness Seminar on Sept. 24-28 with Rev. Fr. Marc and Susanne. I met them in Bontoc when we had the 16th National Workshop. It was a tense week not only in Yangon but also in Mandalay . God blessed us tremendously that we were able to hold the seminar without any difficulty with 29 participants from the different dioceses and ethnic minorities. Marc and Susanne were able to get back to Manila on Sept 30. It was during the seminar when I got an instruction from the CBCM procurator to cancel the two week seminar. I am still mourning about the cancellation because we could have formed (by this week) five diocesan Core Teams. The five participating dioceses for the two week course were excited and looking forward for the course. They could hardly wait, they want to have their own Core Team to be able to give the BBS themselves. It is now re-scheduled on the 3rd and 4th week of Feb. 2008. This means a delay of the plan I had in mind. Nevertheless, I entrust everything into God’s hands. The future is still uncertain especially on visa processing. But I do believe God will make things happen in his own way and in his own time. SAD NEWS! Bishop Sotero had a stroke a week ago in his diocese. His right side is paralyzed. He was brought to Yangon by chartered flight on Monday to get medical assistance since he could not pass urine for two days. In the beginning he did not want to come to Yangon but eventually he was persuaded and so he was in the hospital ’till yesterday. He wanted to be discharged and stay in his house in Yangon. He can pass urine now but he is fed through a tube. He cannot talk but his memory is good. I visited him on Monday and intended to visit him again yesterday but he was already discharged. Please pray for him. You can send him email message and his secretary can print and read it to him. Please continue to pray for us. The crisis is far from over. Please don’t use sensitive matters or words when sending messages to me. We pray for Bishop Sotero. Our prayers are also requested for Fr. Guido Tisera SVD who has had a kidney operation in Singapore. He is still there for treatment. Guido was the former contact person for SVD Flores and is now working at their Generalate in Rome. The Plenary Assemblies that take place every six years offer the opportunity to the members of our Federation to experience themselves as part of one worldwide CBF network. One of the great riches of the CBF consists precisely in the fact that it opens avenues of exchange that transcend national, regional and even inter-continental borders. A Plenary Assembly is an opportunity which no member of the CBF – whether full member or associate member – can afford to pass up! Participation is the right of every member and, as I see it, somehow also an obligation – at least a moral one! Theme “Word of God – Source of Reconciliation, Justice and Peace”. We have now decided on the concrete biblical motto taken from 2 Cor 5:19-20: “We are ambassadors of Christ”. The book of Isaiah (and in particular Is 11 and 55) and Mt 5-7 will be the biblical reference texts which will accompany the Plenary Assembly in a variety of ways. Already in my letter of December 2006 I encouraged you to deal as extensively as possible (in your courses, publications, pastoral programs, meetings, etc.) with the themes of reconciliation, justice and peace in your individual, concrete social contexts, and I would now like to renew this sincere invitation. A number of CBF sub regions have already been carrying out this kind of exchange and evaluation, or plan to do so in the coming months. The results will represent an important contribution for the above-mentioned treatment of the theme from the (sub)-regional perspective during the Plenary Assembly. The coordinators of the (sub)-regions are doing their best to get this process off the ground. If you as member organizations should have concrete ideas and suggestions in this regard, please do not hesitate to contact your coordinator or even the General Secretariat. No individual visas will be needed. If this should not work in a few individual cases because of regulations of the country of origin, the necessary documents will be sent in plenty of time. With reference to climate and health concerns I would like again to emphasize here that June/July is the very best travel time for Tanzania. The normal temperatures average out between 25 to a maximum of 30 degrees Celsius; the humidity is the lowest in the year; mosquitoes pose no problem. There remain only the travel expenses, which must be borne by the participants themselves you make the necessary financial provisions for travel. Dear friends, you can also find the complete letter in our website https://cbfsea.wordpress.com on the page “Plenary Assembly”. I asked our travel agent about the flight to Dar es Salam, Tanzania. You can take the Emirates. From Jakarta, it goes via Kuala Lumpur and Dubai. The cost is about $ 1650 plus tax $ 200. More expensive than going to Europe! If you book quite early you can get a cheaper ticket. Or you might arrange going in group and get a reduction. We, CBF-SEA members can get can get a subsidy for our travel expenses, thanks to the good management of Star, our treasurer. We would like to know how many are going to participate. Please contact me or Star. Let us not forget MYANMAR that still needs our prayers and action of solidarity. Myanmar: Stand with the Burmese people! Hi, have you heard about the crisis in Burma? I made a new page…on VIDEO… this is only a “test” an “experiment” on how to upload our power point presentations to our website. Can you imagine on how we can share our activities through power point program? We have here the presentation of Mother Theresa as a sample. In the future we will be uploading our own productions. The letter of Alexander is already in the new page PLENARY ASSEMBLY. You have to click the path indicated to see the whole document like what we did with VIDEO page. Kindly see also the BLOGROLL on the right side of our website. We are linking our friends to the different websites of our members for easy access. You can visit the different websites of the members by just clicking the BLOGROLL, it starts with AMBC. At the individual page of every member with a website, their names are hyperlinked so you will be led to their home page immediately. THE DAILY BIBLE READING GUIDE is also at the BLOGROLL for easy access on the bible readings of the day prepared by the Vatican . Try to see the link. Just click the day then the readings. Their Daily Bible Reflection included after the readings may help you. We have another new page: FUN-PAGE …as conceptualized by Star, I’m sure you will like the page. Our website is still growing… its a joy to know that there are almost a thousand visitors already as registered in our blogstat since its birth last September 15, 2007. Its really amazing how we can reach to all the people out there through the web. Together we pray for Sr. Tammy on her birthday. May the Guardian Angels whose feast we celebrate today take care of her specially on these trying days of their country and people. 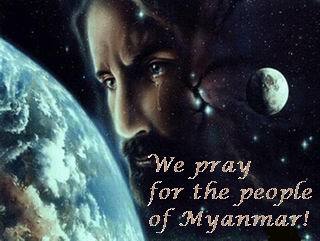 We pray for the people of Myanmar , we pray for the conversion of their government. Lagdameo said Filipinos can easily empathize with the Burmese people because of the Philippines’ own experience of repressive rule during Martial Law regime. “Having ourselves experienced what it is to be under Martial Rule and participated in the peaceful restoration of our democracy, we can understand as well as sympathize with the monks, people and bishops of Myanmar,” said Lagdameo. Earlier, FABC (Federation of Asian Bishops’ Conferences) Secretary General and Cotabato archbishop Orlando Quevedo, OMI sent a letter of solidarity to Most Rev. Paul Zinghtung Grawng, President of Catholic Bishops’ Conference of Myanmar (CBCM) assuring him that member Episcopal Conferences have been urged to offer prayers and holy masses to avoid further violence to take place. “We pray that the problems in your beloved country would be resolved through peaceful dialogue for the sake of the common good,” Quevedo said. Demonstrations led by Buddhists’ monks have been escalating in downtown Yangon and other places since last month against rising inflation, corruption and continued suppression of democracy. Myanmar has been under military rule for more than 45 years. International condemnation poured forth as military government violently clamped down on protests that led to arrests and deaths of thousand of demonstrators. Latest reports said hundred of monks have been executed and bodies dumped in the jungle.